12 VDC power systems ? 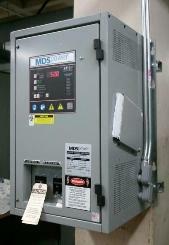 substations, applications where continuous duty DC power is a must. DC float), 48 volt DC, 24 volt DC and 12 volt DC power. 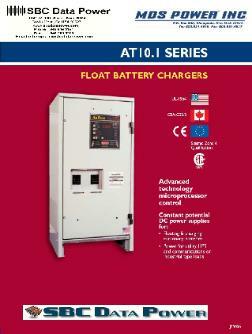 the chargers are designed for float voltage and charging stationary batteries. lead acid AGM batteries, gell and certain Ni-Cad batteries. in 3 days ARO. Please contact us for pricing and application specifics. rectifiers providing redundancy in a compact 2U chassis. deployments, approved up to 150 degrees. 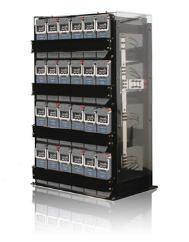 circuit breaker protected output distribution and battery charging capabilities. Please contact us for pricing and application specifics. power system / battery charger in a 1U chassis. with battery temperature probe for proper battery charging. with DC distribution of qty 2 - 30 amp and qty 1 - 15 amp output circuit breakers. Also provided is a 30 amp breaker for battery charging. batteries. Please contact us for application specifics. 5) Requirement for DC distribution / Number of output circuits needed? listed so that we may configure a solution that best fits your specific needs.